Cambridge, located in the Eastern Cape of South Africa, is a community suffering from extreme levels of poverty, lack of employment and adequate education. A large percentage of the 30,000 members of the community live in shacks lacking access to food, freedom, and forgiveness. We believe this community has a lot of untapped potentials and we are excited to unlock possibilities. Cambridge is full of hopelessness, despair, and a vision for the future. High levels of alcoholism, drug addiction, and prostitution exist. Through a partnership with Grace Community Baptist Church, however, there is hope for a better tomorrow as we bring integrated community transformation to Cambridge by the power of God. We strive to do this through a systematic, intentional approach of empowering the local leadership to carry out their vision for the community and to spread this vision throughout the community as they encounter the living God and His life-changing power. In particular, we are partnering with Grace Community Baptist Church (GCBC) under the leadership of Pastor Vuyo Mkonwana to join the community and to establish relationships that will allow us to carry out integrated community transformation. Currently, GCBC is running multiple ministries with the vision of transforming the community. We at One Collective are committed to the development and upliftment of the Community in Cambridge Location. We strive to bring positive change through various programs designed to improve the level of education and overall competency of the community. Our focus can be divided into three main areas. First, we serve the children of Cambridge from the ages of three to five years old in our Day Care Center, Mfesane. This Day Care Center was established to provide a place for the most vulnerable children in the community. It is a safe place where mothers can leave their children during the day while they go off to work. It is a place where the children can find love and attention from the teacher who serves them daily. It is a further a place where the children receive a well-balanced, nutritious meal ensuring their physical development is progressing satisfactorily. Finally, it is a place where the children are exposed to the world of academics to stimulate their minds and help prepare them for their transition to primary school. Second, we serve the children from the local primary and secondary school with our Home Work center. This program is designed to help the students’ progress in their understanding and mastering of the material taught in the school. Here too, the children are provided with a healthy, nutritious meal. They are also motivated to progress in studies and social behaviors by receiving points for positive results or actions. These points translate into prizes they can buy every Friday as they add up points throughout the week. Ultimately, this encourages the children to strive for something more and equips them to understand the concept of managing assets and budgeting properly. 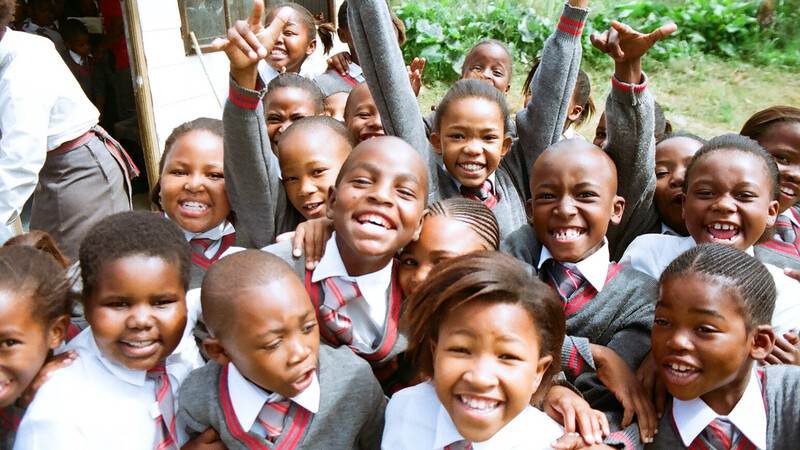 Our overall goal is to ensure the children are advancing in their learning and are achieving the necessary benchmarks in reading, writing, arithmetic, English, and IsiXhosa to ensure they are better poised to matriculate and effectively enter the economy becoming positive contributors to society. Third, we are constructing a multi-purpose building that will serve as both a church and a youth center for the community. Currently, the youth of Cambridge Location have no healthy place to gather to entertain themselves. Their current alternatives are the shabins, local taverns, where they are introduced to alcohol, drugs, prostitution, and violence. Our goal is to be able to provide a healthy place where the youth are able to find healthy entertainment and interact with older peers that can serve as role models. Fourth, we are working on an entrepreneurial / employment training program that will help prepare the unemployed adults to launch their own businesses or to become employable by acquiring the necessary knowledge and training. It provides computer training, intense workshops and Life Skills training to help the adults see opportunity where before they saw hopelessness. Last but certainly not least we are working with key leaders to develop local champions that will take the message of Jesus Christ and His life-changing Gospel to the entire community of Cambridge.